Recently we have known that Google started charging for its Google Apps for Business service. Although the fee seems to be small ($50 per user per year), it is still a significant amount if you have a company of a few hundreds people. We had a workaround to register the Google Apps Standard account for free, however, they allow just 1 user per account and we can’t be sure Google will keep it free in the future. Therefore, some of us probably are looking for an alternative for Google Apps and Outlook.com is among the best choice. 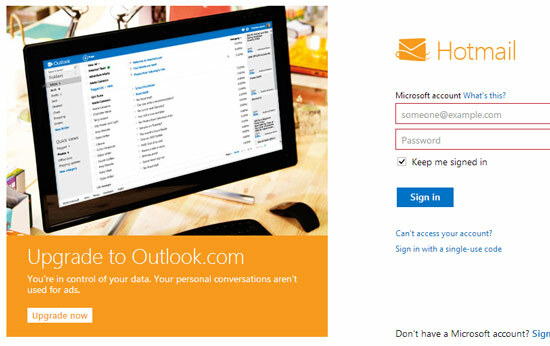 This post will introduce some easy steps to create and setup your email with custom domain on Outlook.com. Just follow the simple guide. Go to domain.live.com to add your domain name. 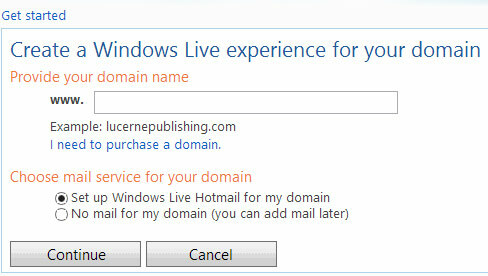 Fill in your domain name and remember to choose the option Set up Windows Live Hotmail for my domain. In the next step, it requires you to assign a Microsoft ID to administer the domain. Choose Sign in with an existing Windows Live ID and then sign in with the account you signed up in the first step. After that, another page will appear to confirm your settings and accept agreements. In this step, we will need to set up mail and prove domain ownership. You are now in the Windows Live Admin Center, the screen will show you exactly what you need to do. 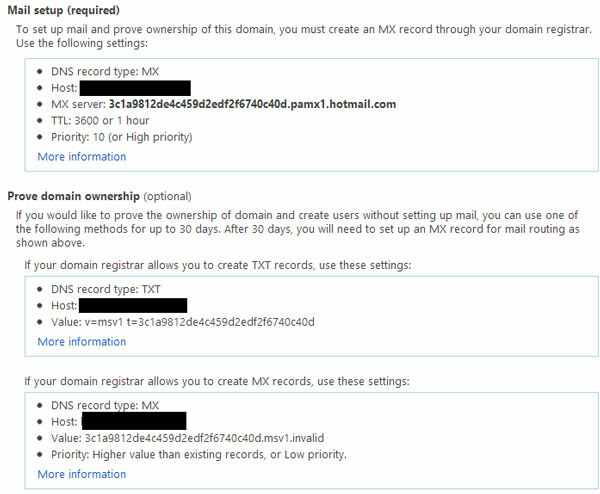 For example, in my case, I need to create a MX record through my hosting’s CPanel to set up mail and then prove domain ownership by adding a TXT record or a MX record. If your hosting service uses CPanel, you can also create your MX records with the icon MX Entry in Mail section. To add TXT records, just go to the icon Advanced DNS Zone Editor under Domains section. On the left sidebar of Windows Live Admin Center, you can also go to the tab Custom Address to set up your subdomain for email service. For instance, I can use the subdomain mail.techwalls.com to access my mail and don’t need to go to Outlook.com anymore. You will just need to add your sub-domain in this section and it will show you configurations. Then go to your hosting service to create a CNAME record. You can add a CNAME record in CPanel by going to Simple DNS Zone Editor in Domains section. Now you can see the new tab Member accounts appear on the left sidebar. Go to this tab to start adding member accounts with your custom domain. At the moment, Outlook allows up to 500 accounts for a domain. Almost done. Now you just wait for the DNS records updated. After a few hours, you can start accessing your mails though http://mail.live.com/ or your sub-domain. Let us know if you have any problem and I will try to help. Microsoft has taken this opportunity to take down Google Apps. Time to migrate :). I didn’t know about this trick. I usually create custom email at cpanel in my Hostgator. Wow! thanks for this post, it has just brought a big relief to my business as I not know what I was going to offer my new customers. Thanks to god, Microsoft give alternate solution. I am happy. Getting to know for the first time about this method. I was using Google apps for that. Thanks for this nice tutorial. – maximum account storage is 5GB. It’s enough. But it is not given at the start but is “growing”. If your account space usage will grow to fast it can be suspended earlier (before the 5 GB limit). It’s not clear at all, hard to explain to client. – In admin section there is no way to reset e-mail account password. You can just suspend or delete it… So If someone loose his password I can’t help… Looks really unprofessional. For those reasons it would be hard for me to use outlook.com as an “e-mail for clients” solution. Google Apps was far more convenient to manage as an administrator. Really, really bad that Apps is gone now. Do You now any other alternative to Apps than Outlook.com ? I also see some limitations of the Outlook.com like no IMAP or catchall email feature. This is still a new service and I think it is good though. Actually Google will still suspend your account if you don’t login to your account for a period of 9 months. So you should be careful as well. I just have experience with Google Apps and Outlook.com and they are still the most reliable ones on the market, so I can’t recommend you another. Anyways, if your client is single user, you still can register for a Google Apps standard account for free like I mentioned above. Tuan, thanks for Your reply. I didn’t now, that Google can suspend Your account after 9 month of no using. In fact I’ve read Apps and Gmail terms of service and cannot find anything in that matter. I’ve searched Google and found only that if You won’t read Your gmail e-mails Google can suspend it (but the source of this info was unreliable). Where have You read about this 9 month period suspension ? Google is not deleting inactive email accounts on your domain. I’ve just checked Outlook.com again and they are also not deleting your inactive domains. They only suspend inactive personal accounts if they don’t login in 9 months. That’s true. But “suspend” means deleting all e-mails and contacts on that account. You have to log in using web page (outlook.com) not to let account being suspended. POP3 is not an option. I’ve searched Microsoft support forums and there are some users complaining that all their mail history vanished. I also found that there is a tool called “Outlook connector” which can be used to configure Office Outlook and Windows Live Mail with Outlook.com. I hope that using this tool will fix this problem ( I’ve made a question on MS support forum and now waiting for answer). Well, some of you may think this is really no big deal :) I, myself, prefer web mail interface (this one comes with outlook.com is really fantastic). All my concern is about my clients, which are using desktop outlook stuff and will by really disappointed if their loose some important data. Do you have any reliable source confirming POP3 is not enough to keep accounts active? I’ve used Microsoft Outlook with POP3 for years and none of my accounts is suspended yet. I have always been using google for setting up email for small organisations in Africa. This is no longer possible. Now looking at this option. With Google I got 10 email addresses. How many can you get with outlook.com? Thanks for your help – I have overlooked that fact. This will be a great alternative for my projects! What are the IMAP/POP settings for setting a Windows Live Admin Center email up in an email program? Now there is no more option to add new domains as Microsoft has stopped the service to add free domains. You have to go for paid account. Service has stopped. Any alternatives for free?